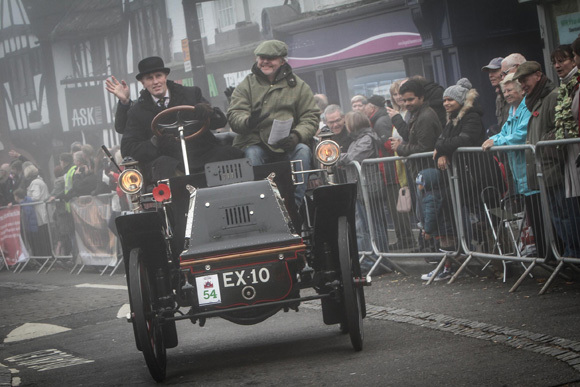 The 2016 Bonhams London to Brighton Veteran Car Run – the world’s longest running motoring event – will celebrate inventor Karl Benz’s 130-year old patent, granted on January 29th 1886, and the early days of German motoring when the annual pilgrimage of veteran cars makes its way to the south coast in November. The Benz Patent Motorwagen (patent number 37435) was a two-seater, three-wheeler, powered by a single cylinder four-stroke engine mounted at the rear. Its first public demonstration run was not hugely successful; difficult to control, it collided with a wall. Significant modifications meant that successful tests on public roads were carried out in the summer of 1886 and two years and further improvements later, the ‘Mk III’ version was offered for sale. It may not have been the world’s first car, but it was the world’s first commercially available car. 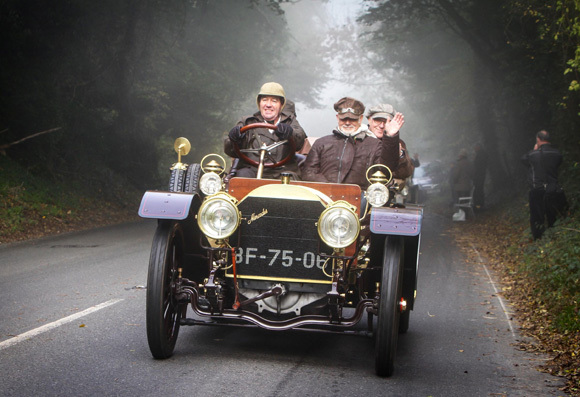 Alongside Benz, of which there were six examples on the 2015 Run, the organisers are hoping to see veteran cars from manufacturers such as Adler, Bergmann, (German-built) Daimler, Lutzmann, Mercedes and Opel tackling the 60 mile run from London’s Hyde Park to Brighton. Registration for the 2016 Run will open on Monday, 28th March. As ever, the Run – a Royal Automobile Club event since 1930 – will take place on the first Sunday in November, which this year falls on the 6th. The first cars will leave Hyde Park at sunrise where more than 400 three and four-wheelers make their annual pilgrimage to the Sussex seafront. 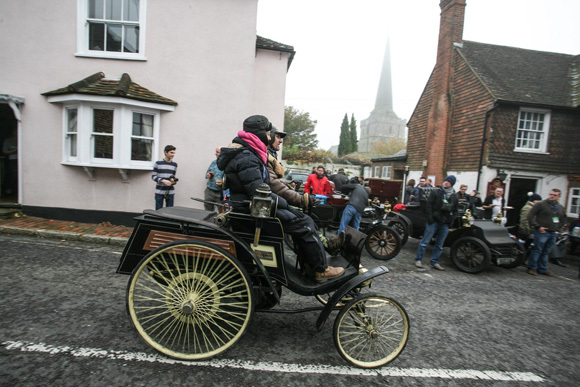 The Run is open to all vehicles built before 1905 – so even the youngest on the Run therefore being more than 110 years old – and while most will be petrol-powered there will be some powered by steam and, proving there’s nothing new under the sun, a handful will be battery-powered electric vehicles. The Run itself will also be celebrating an anniversary this year. The very first ‘Emancipation Run’ from London to Brighton was held in November 1896 – 120 years ago – and marked the passing into law of the Locomotives on the Highway Act which raised the speed limit for ‘light locomotives’ from 4mph to 14mph and abolished the need for the vehicles to be preceded by a man carrying a red flag.